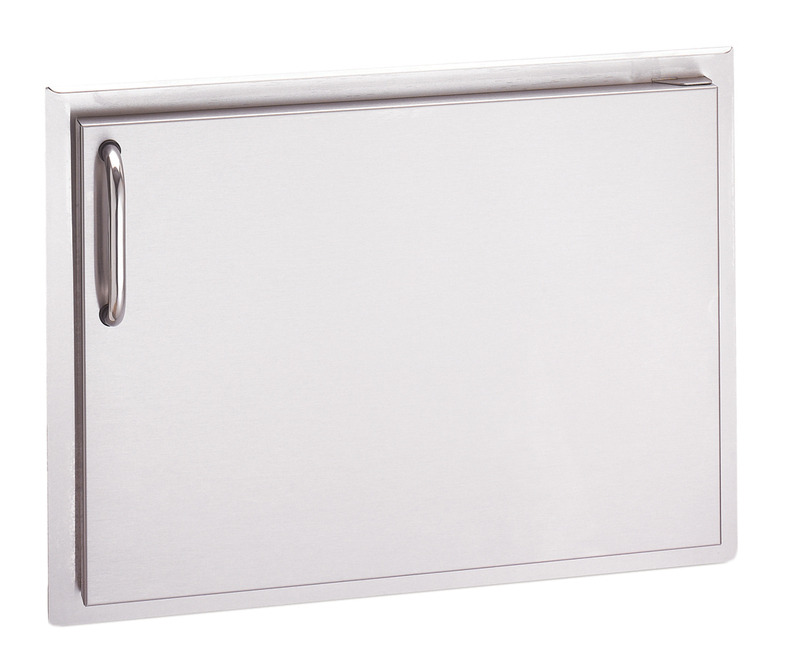 Fire Magic Aurora 24 Inch Left-Hinged Single Access Door – Horizontal: Complete your Fire Magic outdoor kitchen with their complete line of stainless doors and drawers. This Fire Magic single access door features a double walled door and solid stainless steel construction. It is designed to match perfectly with other Aurora products and is a left-hinged unit.